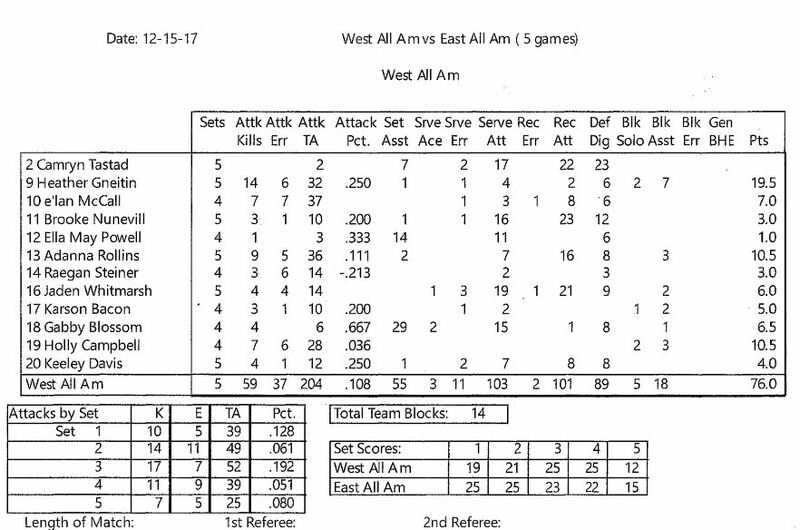 Gabby Blossom, the #28 2018 PrepVolleyball Senior Ace (and part of Penn State’s great 2018 recruiting class) was the starting setter for Team West in the 2017 Under Armour All-America Volleyball Match, which was held on December 15, 2017 at the Sprint Center in Kansas City, Mo. Here’s a link to the Rosters for Team West and Team East (2018 commit Jonni Parker, 6-1 RS/Setter, played for Team East). It was only after that elusive state championship trophy was firmly in her grasp did St. Joseph’s senior Gabby Blossom reluctantly admit she felt a little pain. Less than 24 hours earlier in Class 4 girls state volleyball pool play against St. Teresa’s, Blossom crashed into the media table chasing after a ball. 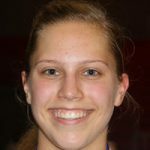 The crash rang throughout a temporarily hushed Show Me Center in Cape Girardeau as the St. Joseph’s faithful held its breath while Blossom, the team’s standout setter and team leader, picked herself off the floor. Blossom finished the semifinal match with a noticeable dent in her leg as St. Joseph’s clinched a spot in the championship match the following night against Ozark. Still, the question of how she would come back 24 hours later remained. Would she be able to move as well? Would any limitations affect the Angels’ well-oiled attack? 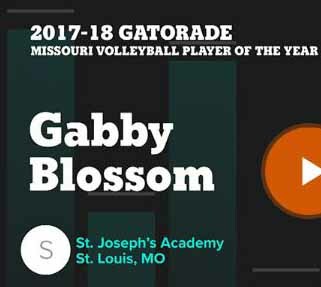 Blossom, the Post-Dispatch All-Metro girls volleyball player of the year, wasted no time answering those questions, racking up 20 assists to lead St. Joseph’s to a convincing 25-20, 25-13 sweep of Ozark to claim its ninth state championship. It is the most state titles in Class 4 and is second only to Hermann (12), Incarnate Word (11) and Borgia (10) for most state titles in Missouri history.